When encountering complex matters of the law, many people are unsure of what action to take. Legal decisions made now may affect a person for years to come. It is wise to speak with an experienced lawyer, before making any significant legal decisions, to be certain that your best interests are addressed. If you have legal concerns and require guidance, contact Bush & Heise, Attorneys At Law, to receive a free initial consultation. Our legal team is ready to explain all options and help you to make intelligent, well-informed decisions about what to do. Our firm is client driven. We strive to meet the specific needs of each client and apply the law appropriately to their unique situation. 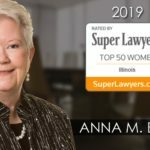 Our lead collaborative law attorney, Anna Markley Bush, is one of a growing number of collaboratively trained attorneys in Illinois. She is a founding member of the Collaborative Law Institute of Illinois. We frequently assist in Medicaid planning and the drafting of wills and trusts in the best interest of our clients. 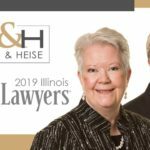 If you have questions regarding our areas of practice, contact Bush & Heise, Attorneys At Law, to receive a free initial consultation and honest assessment of your situation. We accept MasterCard and Visa payments, and we are available for appointments evenings and weekends for the convenience of our clients.